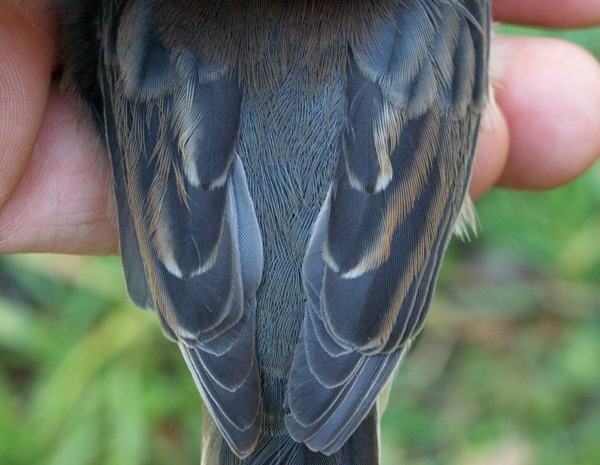 The bird in the photos below was banded by Simon Duval at McGill Bird Observatory (Montreal, Quebec) on September 25, 2010, and recaptured there on October 5 by Marcel Gahbauer during week 10 of the Fall Migration Monitoring Program. Based on the distinct white throat patch and the intermediate markings of the tertials, it appears to very likely be a hybrid Slate-colored Junco x White-throated Sparrow, but we welcome any thoughts about its identity by e-mail. All photos by Simon Duval and commentary by Marcel Gahbauer. 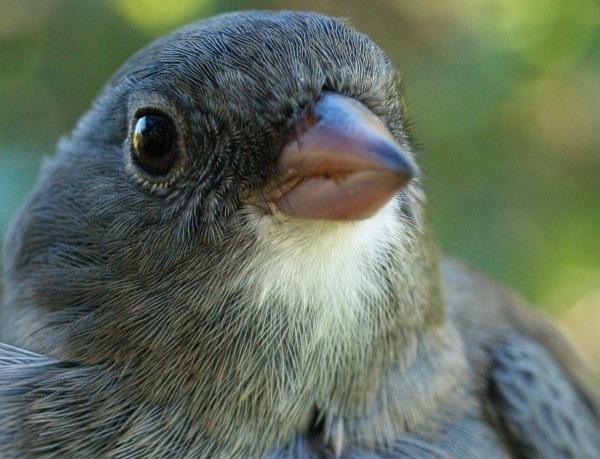 See also this hybrid junco banded at MBO the following week. The distinct white throat patch was the first unusual characteristic noted. From the side, the white throat remains evident, as well as a pale eye ring. 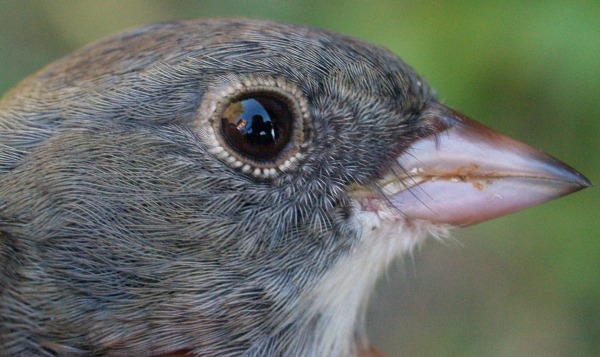 A closer look at the eye ring, which matches closely the coloration of feathers around the eyes of White-throated Sparrows. 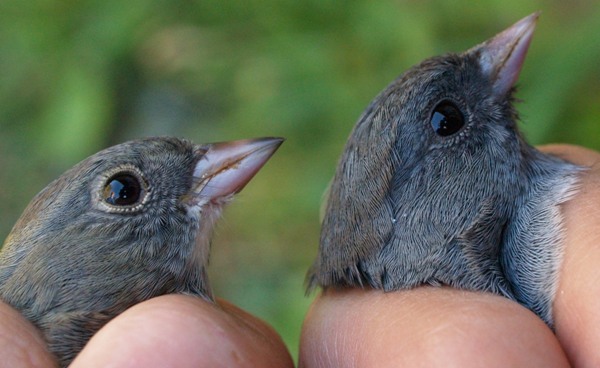 A comparison of the heads of the presumed hybrid (at left) and a 'normal' hatch-year male Slate-colored Junco (right). 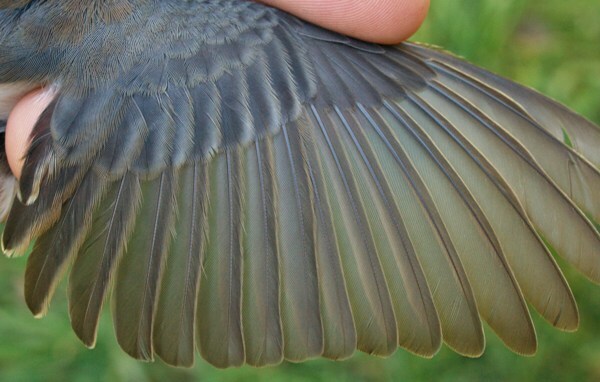 A look at the open wing, mostly appearing like a typical hatch-year male Slate-colored Junco, except for the tertials. 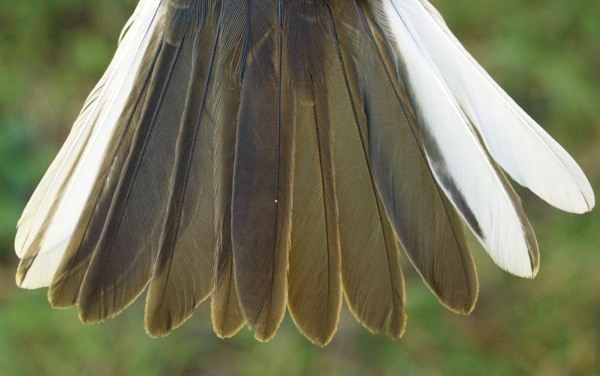 A closer view of the tertials. 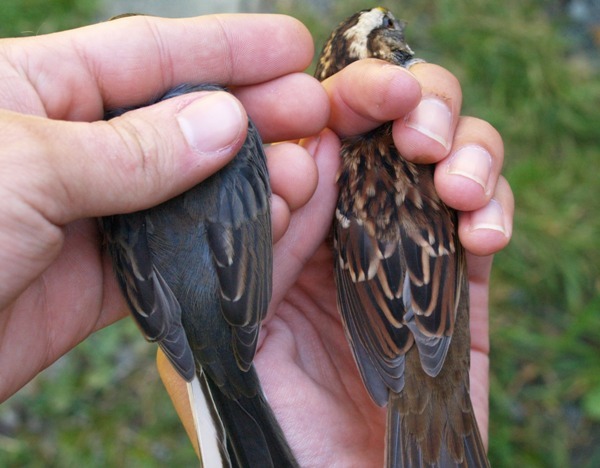 The presumed hybrid (left) beside a White-throated Sparrow, highlighting the similarity in pattern on the tertials. 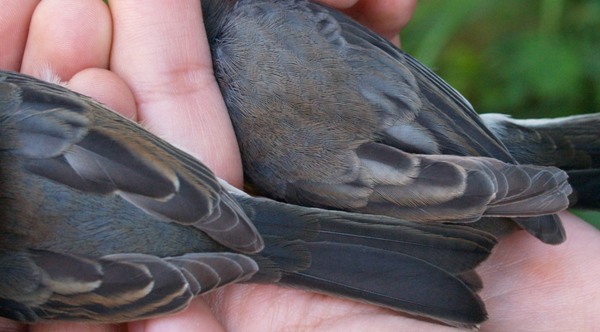 The presumed hybrid (left) beside a 'normal' hatch-year male Slate-colored Junco, showing the difference in tertial patterns. 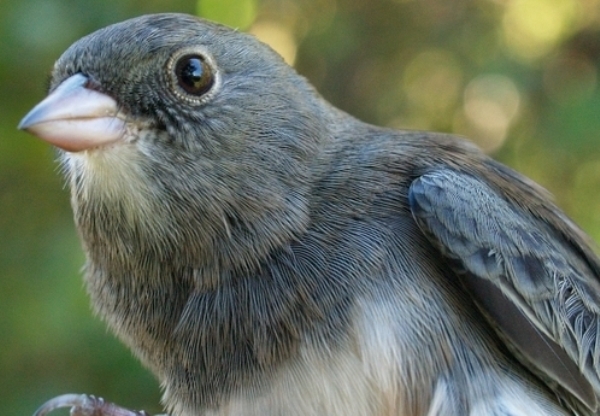 The tail of the presumed hybrid, appearing fairly typical for a junco.